There are a lot of controversies surrounding the portrayal of autism and its sufferers. Savants, Asperger’s, and more mental illnesses are often stereotyped and portrayed with a Hollywood glow. They are often portrayed as genius who simply cannot talk to people or freak out whenever a routine is mishandled. It’s an on-going issue, one that is gradually changing the further people highlight the issues. Yet , stubborn studios and writers seem to promote the same glaringly oblivious image of autism. 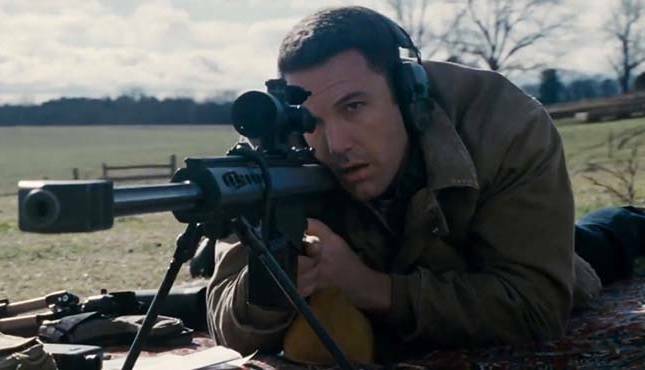 This continues in the scarily dull The Accountant that imagines Ben Affleck as, not just an autistic accountant, but an assassin too. Within the first fifteen minutes of The Accountant, I was checking my watch. Now, you may think it’s because I didn’t give the movie a chance – I really did. But those first fifteen minutes of watching the film made me feel that I had been there for an hour. The garish and incompetent film does nothing to develop characters, narrative, or even portray autism in a greater light. In fact, it’s pretty manipulative of the mental illness, using it as a plot device. I can only imagine that the screenwriters, director, and producers were gathered around a big table trying to sell their ordinary assassin/mafia movie. After going through the whole list of “character traits” that have been used before, someone pipes up and says “How about we make him autistic?” Then the movie goes through a bunch of screen-writing to sell this device which mainly works as populating the screen with stereotypical autistic moments. Moving on from this painful depiction, the film has the worst script writing of the year. After the hundredth flash-back trying to explain the characters, you’ll be wishing you could flashback to your former self and tell them “don’t watch this film.” The movie is a waste of talent because it tacks on these awful histories to a predictable plot that never propels the intrigue further. Completely underwhelming, you can guess the narrative journey within minutes of the story, and that makes the movie slower. Much, much slower. Ben Affleck has had a battered film career. He bounces through great to bad to awful to amazing. Behind the camera, he is consistently superb. The Accountant is another point to the bad side. With a complete banal script, all performances are wasted here. The Accountant is out on DVD & Blu-Ray now!